BetOnline Poker Room Shut Down Amid Alleged Online Poker Cheating! I have just gotten word that the sports book BetOnline has ceased operations of its online poker room. I do not know if this will be permanent but it is big news and probably is the harbinger for another major online poker cheat scam. 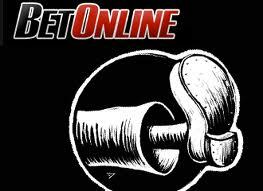 This closure of an online poker room that accepts US players will have some effect on that market. The reasons I am getting are that some pro online poker players have been cheating via collusion scams and that other players are having problmes withdrawing their funds. I am sure more on this will come! My take: Well, I won't say "I told you so" but I told you so! Roulette Pastposting Team Leads Massive Casino Cheating Wave in New Zealand! Three people – one of them a SkyCity employee – have been charged with attempting to cheat a casino of more than $7000. Bo Du, 32, worked as a roulette croupier at Hamilton SkyCity Casino when, police say, she deliberately spun her roulette wheel early – or slowly – to allow her two associates Xiaodong Lu, 27, and Zhuo Zhao, 31, to place last-minute bets as the roulette ball came to a stop. The offending is alleged to have taken place earlier this month. It is alleged that on April 4, Lu walked away with $1632 and eight days later she and her partner Zhao pocketed a further $5600. Despite being remanded without plea on one charge of cheating and two of theft, a police summary of facts stated Du had made a full admission and told them she met up with the couple afterwards to collect her share of the winnings. Lu also faces two counts of theft and one of cheating, while Zhao is charged with one count of theft and one of cheating. The trio's appearance in the Hamilton District Court yesterday had lawyers scratching their heads as to what a charge of "cheating" entailed. Justice Ministry figures released to the Times show there have been just seven charged with the Gambling Act offence between 2005 and 2010. The Times has reported one similar incident in May 2007 when Jing Luo Yan, a 45-year-old chef, tried to cheat at a game of Caribbean stud poker at the Hamilton SkyCity and was convicted and fined $500. Though rare, the recent alleged offending pales in comparison to an example from November 1998 when Tonga-based Chinese millionaire businessman Zhu Hua Yu and SkyCIty Auckland dealer Lei Zhang were convicted of cheating when Zhang used secret signals to help the punter amass $120,000 playing baccarat. Internal Affairs gambling compliance inspector Derek Hartley said he and the Hamilton unit were still investigating and did not rule out further arrests or charges in relation to the latest alleged offending. However, he would not comment on how frequently similar investigations took place or whether SkyCity could face sanctions. 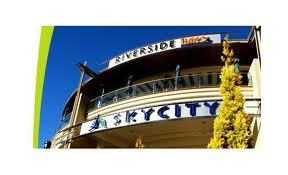 SkyCity Hamilton general manager Arthur Pitcher refused to comment. He refused also to discuss SkyCity's anti-corruption efforts or staff supervision policies. It is not known whether Du has lost her job at SkyCity or how long she worked there. SkyCity Casino has 23 playing tables, 339 gaming machines and revenues of $26.5 million – up 13.7 per cent in the last financial year. Du, Lu and Zhao were all remanded on bail without plea to reappear in the Hamilton District Court next month. Previous casino scams both here and abroad make the winnings collected by Hamilton's three alleged casino cheats look like chump change. November 2011: Three Italians are charged with cheating at a Cannes casino after French police alleged they used special contact lenses to see invisible ink on the marked cards. The alert was raised when the gang won NZ$76,300 in an evening of stud poker against the croupier in a night and another $10,000 in a few hours later that week. January 2007: Two men and a woman cheated at least six London casinos out of nearly $734,000 in a hi-tech poker scam using hidden miniature cameras and earpieces. The sting involved two of the gang playing poker while their accomplice sat in a van nearby. A tiny camera, hidden up the sleeve of one of the players filmed cards being dealt, with footage beamed live to the van via a transmitter. The poker players were then told via earpieces how to bet. December 2004: Three gamblers who used a laser device to win over $2.73 million in two nights at a London hotel casino are let off prosecution after police say they did nothing illegal. The laser scanner measured the speed of the roulette ball as it was released by the croupier, identified where it fell and measured the declining orbit of the wheel. A computer calculated which section of numbers the ball would land on and dropped the odds for the gamblers from 37-1 to 6-1, with the info flashed to a mobile phone just before bets closed. November 1998: Tonga-based Chinese millionaire businessman Zhu Hua Yu and SkyCIty Auckland dealer Lei Zhang are convicted of cheating after Zhang used secret signals to help Yu win baccarat bets totalling $120,000. April 1998: Nevada's premier poker machine cheat, Dennis Nikrasch, who raked in millions of dollars over 22 years, cuts a deal with prosecutors for a lighter sentence in return for telling how he did it. Nikrasch and his cronies' scams brought them about US$40m (then NZ$70m) a year and left officials baffled over how they did it. Nikrasch was convicted in 1986 of scamming US$10 million from Las Vegas casinos by rigging poker machines between 1976 and 1979. He was freed on parole in January 1991. My take: Heck, I didn't even know there was major legal gaming casinos in New Zealand! Looks like some pretty big cheating scams are going down there, usually the case with Pacific Rim casinos when they're new. This casino cheat wave kind of parallels what has been going on in Singapore. Greatest "Reverse" Casino Scam I Have Ever Heard...And Done! First of all, if you don't know what a "reverse" scam is, it is simply a scam in which the primary victim thinks he is involved in a scam that is scamming somebody else and that he will share in the profits. He never has an idea that he himself is the victim. I have been involved in many of these, and even once was the victim. You have probably seen some good reverse scams depicted in movies, but this one, which I helped devise with my partner in casino cheating Pat Mallery, may be the best. 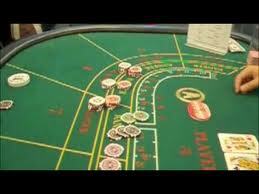 It takes place on the casino's big baccarat table, not the mini-baccarat tables. Basically the victim (expecting to receive 50% of the scam profits) is led to believe that we are going to scam the casino for tens or hundreds of thousands by obtaining credit from the casino by signing gambling markers at the table. The victim, who believes he knows the scammer's true ID, is shown false ID that that the scammer says he has used to obtain credit. The scammer tells the victim that he needs serious money to finance the scam at the table. The scammer tells the victim that before he (the scammer) signs the markers, he must first show large cash action to make the casino comfortable and believe that he is trully a high-roller worthy of obtaining credit, which is being worked on by the casino's credit department as the scam is actually taking place at the baccarat table. 1) Place $20,000 in the casino cage, against which he can sign markers. Most people do not know that you can sign markers at casino tables against your cash deposit in the cage the same way players sign markers against their credit lines. Anyone observing markers being signed at the table would not be able to tell whether the person signing them has a credit line or cash in the casino cage. 2) Actually sign markers against his cage-cash at the baccarat table to further enhance the credibility of the scam to the victim, which enables the victim to be reverse-scammed. Since baccarat offers two wagers (banker and player) that cancel each other out (one wins while the other looses), the scammer tells the victim to bet approximately the same large amount as he on the opposite side, for example: the scammer bets $2,000 on player while the victim bets $1,850 or so on banker, not betting the exact amount to avoid casino suspicion that an offset is going on. The victim has financed this whole cash operation, usually for a minimum of $50,000 cash. During the play, the scammer is constantly speaking with the pit bosses to reaffirm that his credit is being approved, convincing the victim that he will soon be signing markers in $10.000 denominations. Then the scammer simply waits until the majority of the chips, usually $1,000 and $5,000 denominatons, shifts to him, which always happens because if the victim wins too many of the offset hands, the scammer and victim meet away from the table where the victim then hands chips back to the scammer. At the opportune moment when the scammer has bt $30,000 and $50,000 in chips, which is all part of the victim's stake investment, two of the scammers cohorts dressed in suits looking like casino detectives come to the table, whisper "Would you please come with us" in the scammer's ear, all this in front of the victim, who is now scared shitless that he will be linked to the scam to bilk the casino out of money via obtaining credit under false pretenses. The scammer is then led away by the two plainclothes "detectives" (casino personnel notice nothing because it just looks like the two men are friends of the scammer). The victim is then left at the table by himself and soon gets scared and returns to the rented apartment where he is staying (leased by the scammers) and while there hears a knock on the door accompanied by a loud voice shouting "Open Up, FBI." Sometimes the victim does not open up, but when he does is then showed two fake badges by the same two cohorts who had taken the scammer from the baccarat table. He is then grilled with questions about the scammer, whom the FBI is now "aggressively looking for." The victim at this point is only worried about himself going to jail on a major crime, not even so much about his lost money, which he as of yet doesn't realized is lost. Finally, he receives a call from the scammer, who tells him that he managed to escape from FBI custody and has split Vegas to avoid recapture, and doesn't know when he can resurface. Of course he tells the victim that his cash was confiscated by the FBI. In most cases, the victim will not even know that he had been scammed but rather think he had the bad luck to get caught in an FBI sting.